In 2013, Australian Businessman, Adrian Reis was admiring timber gates that he had seen in the Cotswolds. He was impressed by the quality of the gates and chose to track down the company who made them. After contacting Charltons, Adrian Reis set up his own firm, Westbury Gates, in Melbourne to import and distribute the products. He chose Charltons gates for the quality and the brand that they represent. 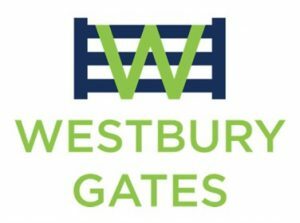 Initially two styles of gates are being exported to Westbury gates; the Estate and Somerset gate. His launch to the Australian market was at an agricultural show in March 2014. Adrian said: “At first sight it may seem unusual to ship gates from Somerset to Australia. Chairman and chief executive AJ Charlton, 85, has worked for the firm for 70 years. He said: “Of course we export. But even ten years ago, I would never have envisaged shipping gates to Australia. “However, we are absolutely delighted to be doing so and with further orders in the pipeline we look on this current order as one of the first of many. Charltons products are treated to the highest level. A great cost effective gate for your property! We use a third party service, Google Analytics, to collect standard internet log information and details of visitor behaviour patterns. This information is only processed in a way which does not identify anyone. We do not make, and do not allow Google to make, any attempt to find out the identities of those visiting our website.